Asus has an impressive smartphone lineup for 2018. While the Asus Zenfone Max (M1) single and dual-SIM variant were announced at MWC 2018, there’s another model allegedly known as the Zenfone 5 Max which has now been certified. The model numbers ASUS_X00PD/PS belong to the Zenfone Max M1 which have been certified in FCC (US), NCC (Taiwan) and NBTC (Thailand). However, ASUS_X00QD, which is believed to be the Zenfone 5 Max has been certified only in Taiwan and Thailand and is yet to make it to the FCC. It’s clear from the FCC listing that ASUS_X00PD is the Dual SIM variant and ASUS_X00PS is the Single SIM variant. While they are essentially the same phones with similar hardware specifications, the dual-SIM capability sets them apart. Their processors are also mentioned as MSM8917 and MSM8937 which correspond to Snapdragon 425 and Snapdragon 430 respectively. The dimensions of the Max M1 are 157mm (diagonally) x 148mm (vertically) x 72mm (horizontally). 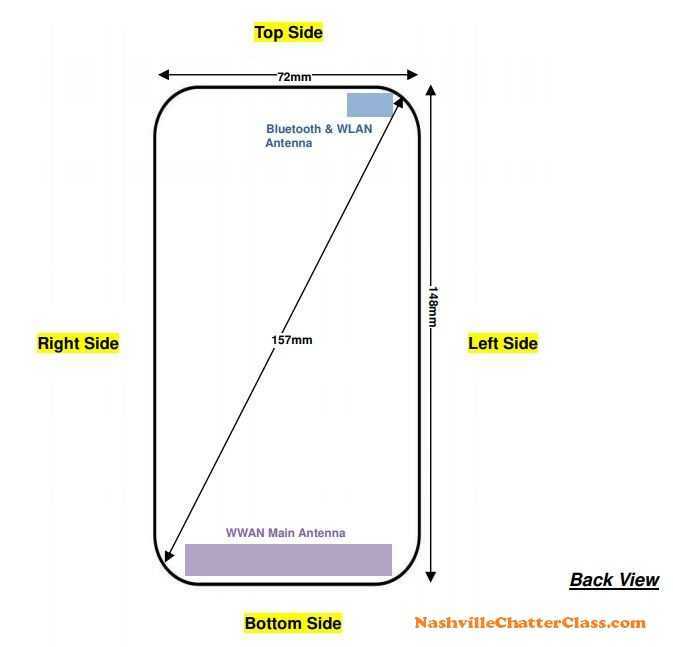 The image available in the FCC listing confirms it. The Asus Max M1 has a 5.5-inch 720p display with 18:9 aspect ratio and sports a 2.5D curved glass. The single SIM variant is powered by Snapdragon 425 processor and the dual SIM variant is powered by Snapdragon 430 processor. They come with 3GB and 2GB of RAM respectively and run on Android 8.0 Oreo out of the box. Max M1 has a 13MP and 8MP dual rear camera setup while the front camera uses an 8-megapixel sensor. Asus Zenfone 5 Max, with the model number ASUS_X00QD, wasn’t announced at MWC 2018 though it made an appearance in GeekBench a week before the event and in Wi-Fi Alliance a month before the event. It was expected to be announced during the event but surprisingly, ASUS didn’t! 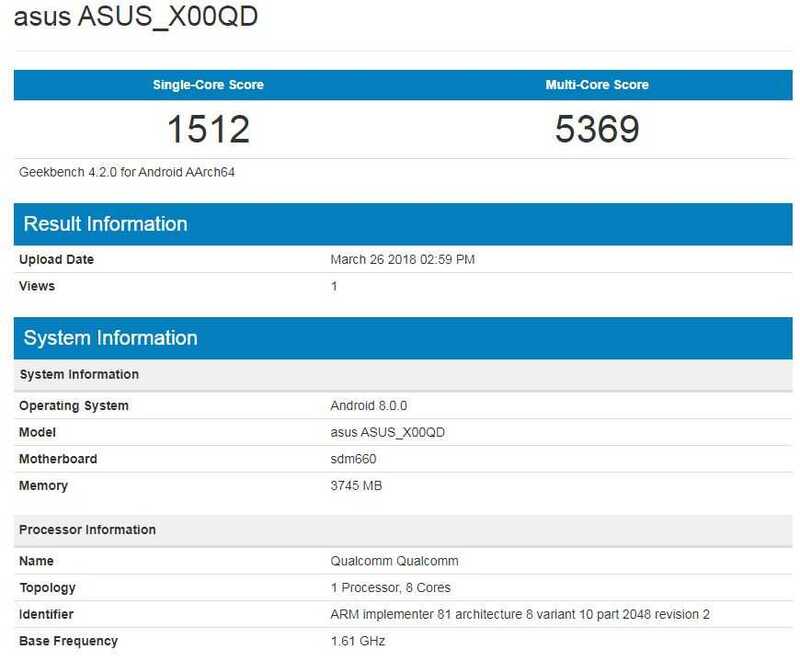 According to the Geekbench listing, the model number Asus X00QD had impressive specifications and this is expected to be called as the Zenfone 5 Max. The recent listings in NCC and NBTC confirm that this model may be coming soon! The phone has a 5.7-inch 1080p display with 18:9 aspect ratio and is powered by Snapdragon 660 SoC octacore 1.61 GHz processor combined with 4GB of RAM. The model is expected to have 64GB of storage and runs on Android 8.0 out of the box. An interesting rumor is that the Asus Zenfone 5 Max may also sport the top notch just like the iPhone X and is expected to be officially unveiled soon by the manufacturer. With the Asus Zenfone Max M1 and Zenfone 5 Max acquiring certifications in three different markets including Thailand, Taiwan and the USA, it’s evident that these models will hit store shelves real soon.